People always question why Cold Fusion/LENR has up to now neither been commercialized nor accepted in mainstream science. It’s been a quarter of a century already since Fleischmen/Pons so if LENR really is a true science worthy of the world’s attention, then why is it laughed upon and still considered a debunked voodoo science? Well, below are some answers to these questions. 1. There are many who have been paid to demonize LENR and to hinder any progress. Just look at some of the material uncovered by the famous or infamous Edward Snowden. The JTRIG for example, short for Joint Threat Research Intelligence Group, is a unit of British Intelligance Agency whose sole purpose is to use “dirty tricks” such as cyber attacks and social medial propaganda to “destroy, deny, degrade [and] disrupt” enemies by “discrediting” them, planting misinformation and shutting down their communications. Another example of paid entities working to suppress the truth and push forward the false, evil, and greed-inspired agenders of their paymasters, is the Global Warming group. Ever noticed how it’s no longer called global warming anymore but just climate change now? That’s because they saw the lie couldn’t for long work since the earth is actually not getting any warmer. Might as well just call it climate change to throw the detractors off guard. Anyway, Emails were discovered in 2009 proving that global warming was simply a scientific conspiracy in which scientists manipulated climate data and attempted to suppress critics. Why the need for such a conspiracy you ask, simple: Firstly, the scientists involved stand to gain financially. Secondly, the global elite know they can gain greater control over the nations of the earth by getting them to adhere to strict energy regulations under the guise of “saving the planet”. This is all part of the One World Government / New World Order agenda. Thirdly, greed-inspired governments know they can make a lot of money from what they could collect for carbon footprint infringements. Allegations of free energy suppression are not a new thing. It is widely accepted that the view exists that the scientific community has controlled and suppressed research into alternative avenues of energy generation via the institutions of peer review and academic pressure. Nothing new here. 2. Mega rich oil barons won’t allow cold fusion to destroy their multi-trillion dollar oil industry. Honestly, if you’re making $100 billion from oil every year would you not try by all means to stop any energy alternatives that would result in each and every nation being energy independent and non reliant on your oil? 3. Most scientists renounce it just because higher scientists have done so. Much like the Climategate saga, top physicists said climate change is a problem, and the rest followed suit. So if a professor emeritus with over 40 years experience in quantum physics and nuclear science, and with thousands of published papers and hundreds of books penned, says Cold Fusion is not real and that he has conducted research studies at the highest institutions of learning in the the most technologically advanced nation in the world alongside fellow physicists of the highest eminence, then no doubt every other scientist in every other country will trust and believe in the man’s research. 4. Patent applications. Not only does the patent office have a well known secret of rejecting anything to do with cold fusion, but some patent applications also deserve the treatment they get. One person comes to mind here and that’s non other than the man himself, Andrea Rossi. If you read his patent applications, it sounds like he’s begging the patent office to just throw his documents into the shredder. For example, when you start by saying in your application that “The present invention… has been stimulated by the requirement of finding alternative energy sources…” and then start drawing comparisons of your invention to “Cold Fusion”, I really don’t think that patent application will be successful. And when the patent application is unsuccessful, the inventor will find it even harder to commercialize his technology. 5. There are also wolves in sheep’s clothing, scam artists, who use LENR as a way to scam others, preying on others’ greed. We all know about these kinds of characters in the world. 6. Mankind has not fully tapped into it. The science behind it is not really understood yet. 7. Scientists working on other competing energy sources, such as Hot Fusion, receive billions of dollars in funding and won’t sit idle while LENR / Cold Fusion takes away that money from them. Over $100 billion has been spent on the Hot Fusion dream thus far. In 2014 in the USA, it received a budget of over $600 million. One wonders why then Hot Fusion has been “only 20 years away” since 1953. 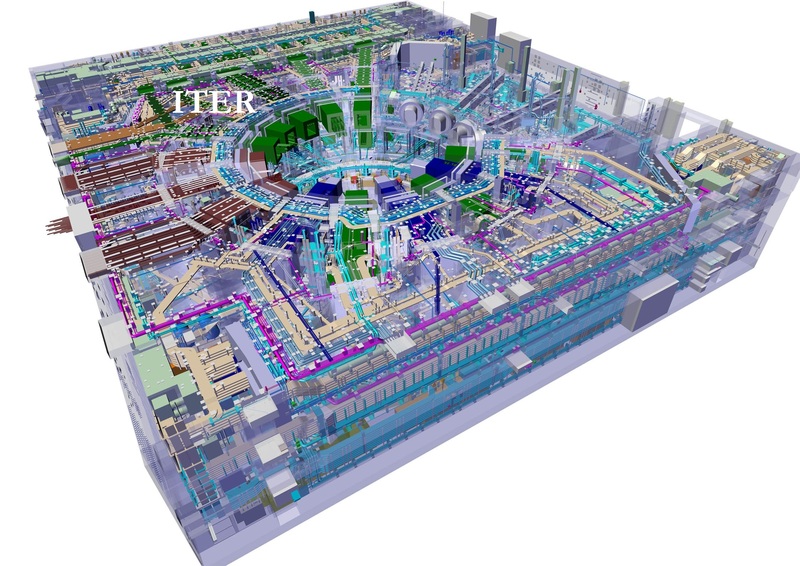 The ITER project alone, a $20 billion project, is being funded by various rich countries from all over the world and yet is only just a proof of concept of electric power generation from Hot Fusion energy. Amazing! 8. The media’s ignorance & apathy. If a scientist tells the media that LENR is a scam, then LENR is a scam as far as they’re concerned. They won’t even attempt to dig deeper or do more research on the subject. 9. People’s ignorance & apathy. If people knew about it then surely they’d request that something be done about it. 10. The greed of commercial entities trying to gain patents, control and future profits. See the email exchanges between Roger Green & Robert K concerning the Ecat. 11. Inter-fighting among LENR innovators such as Mills/Rossi and Rossi/Piantelli. Seems nobody is humble enough to admit that the work of the others also is commendable. This entry was posted in Uncategorized and tagged Hinderances, JTRIG, LENR. Bookmark the permalink. 12: People love to throw themselves into religious make belief fluffy (free energy) dreams. Cold Fusion scientists are very dry and conservative – then don’t allow this kind of “revival outreach” very freely.